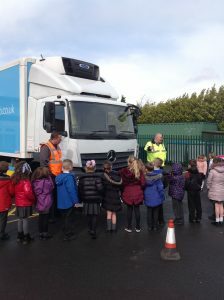 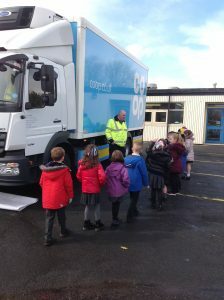 Owls had a visit from the Co-Op delivery lorry to help them understand how to be road safe. 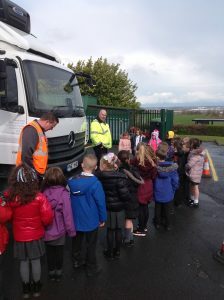 First they were shown how far to stand away on the path from the road for when lorries and traffic are passing by. 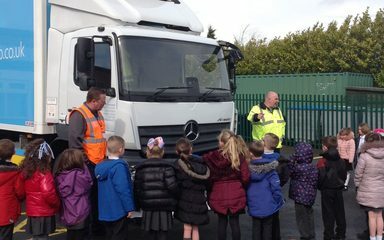 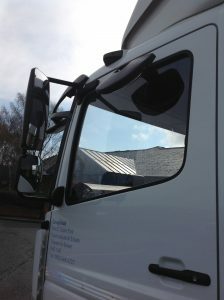 Then they were shown where the cameras were to help the driver see where they are driving and reversing. 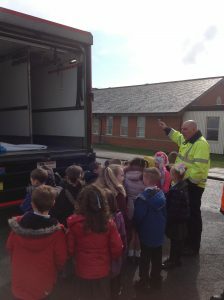 Finally they were shown the back of the lorry where the goods come out of and how far they need to stand away in case they get hurt when unloading.